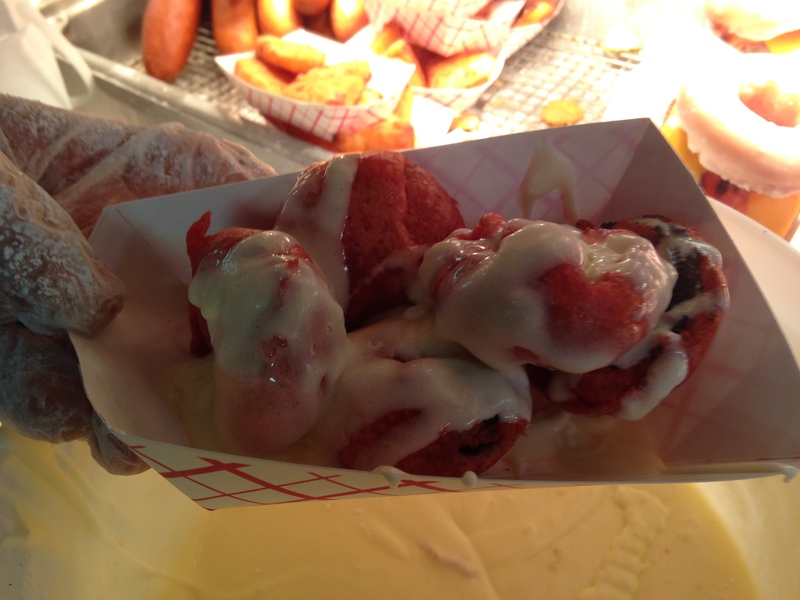 The N.C. State Fair is a Foodie’s dream for anything deep fried or sweet. I&apos;m here as the visitRaleigh Foodie blogger to let you in on three of my favorite 2013 fair foods. Just when you thought the classic deep fried Oreos couldn&apos;t get any better, they did. This year it&apos;s all about the deep fried red velvet Oreos. If you&apos;re a red velvet cake fan and chocolate lover, this new N.C. State Fair food is for you. The Oreos are covered in cream cheese icing, too. Now you can have your cake (and cookies) and eat it, too! Although the Krispy Kreme sloppy joe is a new addition to the N.C. State Fair, I&apos;m still a fan of the original Krispy Kreme burger. 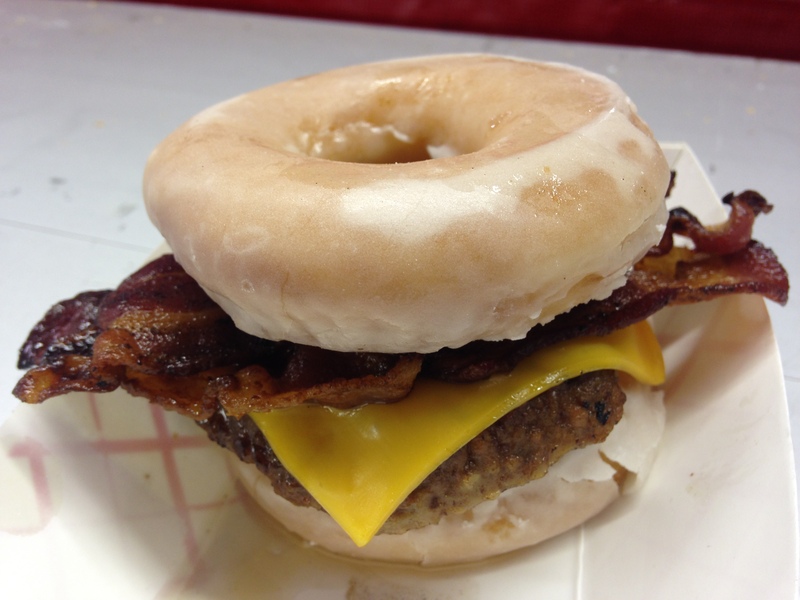 A juicy patty is topped with cheese and bacon, then served between two Krispy Kreme glazed doughnuts. What a great combination of savory and sweet. 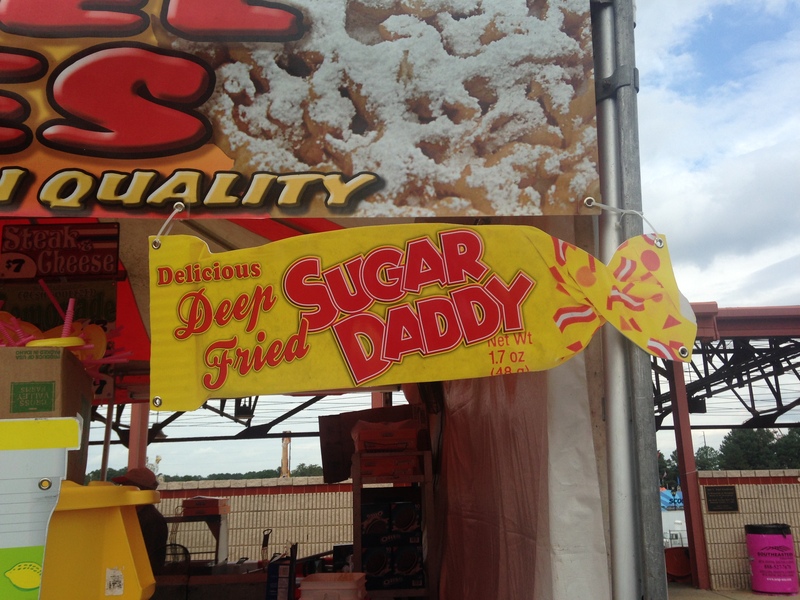 My last pick for you to try at the N.C. State Fair is the deep fried Sugar Daddy. This caramel candy is deep fried then served with chocolate fudge sauce and powdered sugar. This new N.C. State Fair delicacy is becoming quite popular and is a must try when you visit the fair.